States See Robust Solar Job Growth, But Are Those Jobs Secure? The state of California surpassed 75,000 jobs in the solar sector last year, growing 38 percent over the previous year and dramatically exceeding all other states in the country. 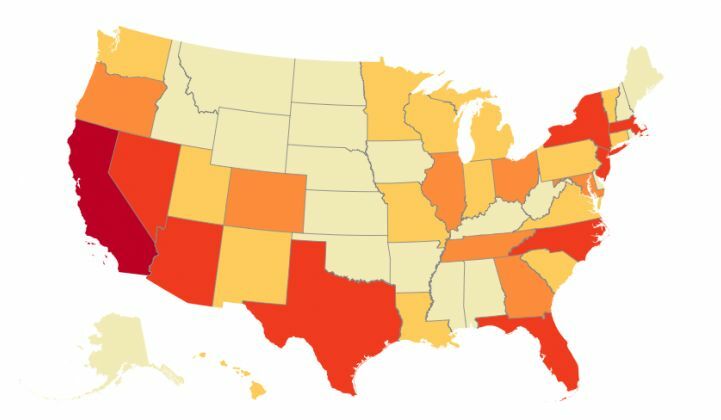 According to The Solar Foundation’s 2015 State Census, released today, California has five times more solar jobs than Massachusetts, the second-ranked state for solar employment, with 15,095 jobs. Nevada ranked third with 8,285 jobs, up from 5,900 jobs in 2014. The U.S. solar industry has been growing dramatically in all corners of the country, according to Andrea Luecke, president and executive director of The Solar Foundation. Since 2012, more than half of all U.S. states have at least doubled their solar workforce. And since the last survey, 15 states saw their solar job numbers grow by more than 30 percent. The census measured changes between November 2014 and November 2015. This year, researchers collected data from more than 19,000 companies and received fully completed surveys from more than 2,300 companies. Rhode Island emerged as the biggest job creator based on percentage increase, adding 600 jobs to its nascent solar market over the year. South Carolina, Tennessee, Utah, Florida, Nebraska and Mississippi also saw strong job growth. “For a technology that makes up only 1 percent of our energy mix, I think it’s astounding that one out of every 83 jobs created in the U.S. is in the solar industry,” said Luecke. But as the U.S. solar market matures and policies change, there’s bound to be some regional job shuffling -- and there could be some significant job losses. The census showed that Arizona, for instance, lost jobs over the year-long study period, falling from 9,170 positions to 6,922. As a result, Arizona dropped from the third-best state for solar jobs to the seventh. Arizona still ranks among the top states in terms of overall solar capacity, but new capacity additions have slowed as utilities approach their renewable energy targets amid ongoing policy uncertainty in the residential solar sector. 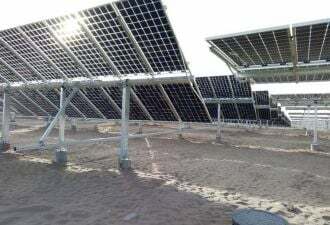 In late 2014, the municipal utility Salt River Project imposed new fees on solar customers that drastically reduced the number of systems installed in the utility’s territory. Other regulated utilities in the state are now seeking to add new solar charges or at least reduce compensation for net-metered systems. GTM Research expects the market to flatline if new fees are implemented. Recent policy changes in Nevada are expected to have a similar chilling effect. Nevada rocketed up the job ranks in 2015, climbing from the seventh-best state for solar jobs to third. Then last month, the state's Public Utilities Commission implemented a decision to lower the net-metering credit and add new fixed fees on rooftop solar customers. Nevada is now expected to miss its projected 18 percent job growth rate for 2016. Shortly after the policy change came into effect in Nevada, SolarCity, Sunrun and Vivint announced they would have to shut down operations in the state. Several local installers also announced layoffs, resulting in hundreds of job losses overall. SolarCity alone cut 550 jobs and shuttered its new training center. 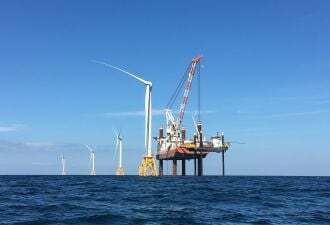 The very people who had been trained at the center were hired to dismantle it days later, according to Chandler Sherman, public affairs manager for SolarCity. Anne-Marie Cuneo, director of regulatory operations at the Nevada PUC, said in a recent local television interview that the job loss “breaks my heart.” But the solar jobs issue isn’t cut and dried, she added. Cuneo also challenged the widely reported figure that Nevada has nearly 6,000 solar jobs, which refers to the 5,900 jobs reported in The Solar Foundations’s 2014 State Census. Cuneo said the study used a very broad definition for “solar job” that included even her own position among the tally. Luecke explained that the jobs census includes five categories: installers, manufacturers, sales and distribution, project development and construction and “other.” Jobs counted in the "other" category include people working in finance, law, the nonprofit sector and government who have stated that they spend at least 50 percent of their work hours on solar. The methodology itself is modeled after the Bureau of Labor Statistics' employment tallying practices, with additional input from the Department of Energy, and was validated by Cornell University. While there may be some debate around the exact numbers, hundreds of solar workers in Nevada have still lost their jobs. They can be seen protesting, and many are now backing a referendum to restore the original net-metering rules. Recent experiences demonstrate how much solar companies rely on strong pro-solar state policies, said Luecke. But they’re also adaptable. In Arizona, with some of the policy uncertainty now “baked in,” Luecke said solar installers expect to return to growth this year. The California market will also continue to charge ahead, with 19 percent job growth expected in 2016. The recent NEM 2.0 decision is expected to bolster growth in the rooftop solar sector. There have also been big policy wins on the national level, including the extension of the federal Investment Tax Credit. Dan Shugar, CEO and founder of NEXTracker, said the progressive shift away from coal spearheaded by the Sierra Club and others has also created an enormous amount of space for the solar sector to grow as coal is replaced. “This shift is huge; it’s tectonic,” he said. NEXTracker is currently seeing exponential growth, Shugar added. Six months ago, the company was shipping 15 megawatts of product per week, and today it’s shipping more than 110 megawatts per week. The growth stems in large part from a merger last year with Flextronics, which has been a net benefit to the U.S. job market. Since November 2014, NEXTracker’s U.S. team has tripled from roughly 50 to 150 employees. A national version of the solar jobs census released last month found that overall solar employment numbers had grown 20 percent year over year. The solar industry now has more than 208,000 employees, surpassing the total number of jobs in gas and oil extraction. National solar job growth is expected to increase 14.6 percent in 2016.